Loy H. Witherspoon, professor emeritus of philosophy and religious studies at UNC Charlotte and a longtime confidant to University founder Bonnie Cone, passed away on Sunday, Jan. 15, 2017 in Charlotte. His memorial service was held on Thursday, Jan. 19, at Myers Park United Methodist Church. The service can be viewed here. 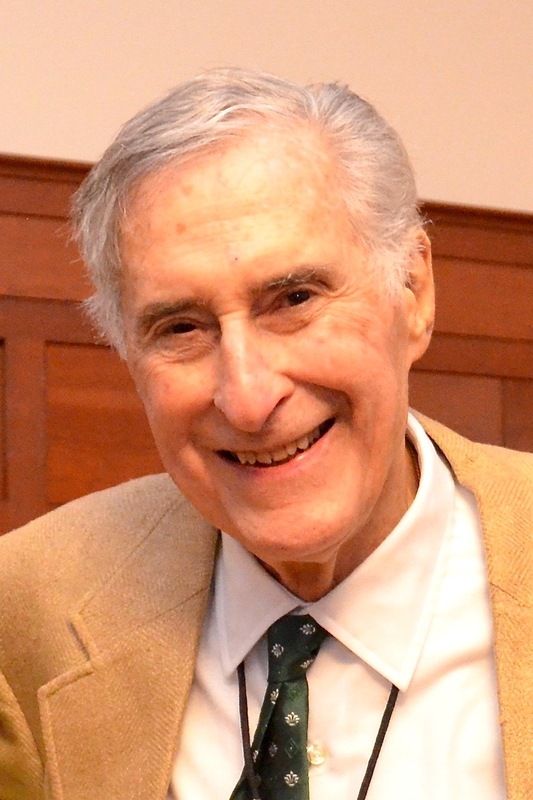 The founding chair of the Department of Religious Studies, Witherspoon retired in 1994 after 30 years of distinguished service at the University. For more than a decade after his retirement, he continued to teach at UNC Charlotte and he remained active in a range of community and academic service projects. The Loy H. Witherspoon Lecture in Religious Studies began in 1984 in honor of his 20th anniversary and is now the University’s oldest and most prestigious endowed lecture series. Cone assigned him the tasks of building programs in philosophy and religious studies. She also asked him to create an organization to coordinate the work of campus chaplains and student religious organizations. The new organization was called the Office of Religious Affairs. A 1969 recipient of the University’s highest recognition for teaching, the Bank of America Award for Teaching Excellence, Witherspoon was described as a great teacher, caring counselor, skilled ombudsman, host, patron, politician, public relations practitioner and troubleshooter. Witherspoon also served as college chaplain and on practically every University committee. Under his leadership, the Department of Religious Studies grew from a handful of courses to a full-fledged degree program. Witherspoon also was instrumental in establishing campus governance. He was the first chairperson of the University Senate, twice served as president of the faculty and was University marshal from 1988 to 1993. As the first chair of the Department of Philosophy and Religion when it formed in 1964, Witherspoon created a lasting foundation that allowed both disciplines to flourish, Gutierrez said. He also served as the first chair of the independent Department of Religious Studies when it formed in 1972. “He was instrumental in bringing endowed professorships to the University,” Gutierrez said. “The University’s first named, endowed lecture series bears his name. Hundreds of Loy’s friends, colleagues and former students showed their love and respect for Loy by creating the fund in his honor in 1984, and he faithfully continued to support and attend these important community lectures. 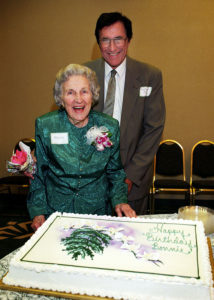 Bonnie Cone and Loy Witherspoon with her birthday cake in 1997. Since his formal retirement in 1995, Witherspoon remained engaged with the University and the awards and accolades continued to come. In 2001, he received the Distinguished Service Award from the UNC Charlotte Board of Trustees. That same year, the University chapter of Lambda Chi Alpha, for which he had served as faculty adviser, endowed a scholarship that bears his name for a religious studies major. The Loy H. Witherspoon Greek Alumni Scholarship was established in 2012 to honor the work done by Witherspoon to establish the current Greek system at the University. It is used to provide scholarship assistance to undergraduate members of UNC Charlotte fraternities or sororities. Witherspoon received the Alumni Association’s Distinguished Faculty Award in 1993 and the Alumni by Choice Award (now called the Honorary Alumnus(na) Award in 1995. Witherspoon Hall, a 420-bed residence facility, opened in 1990 and has long been the home for students in the University’s honors program. Witherspoon, who also was an ordained minister in the United Methodist Church, earned his bachelor and divinity degrees from Duke University and his doctorate from Boston University. Witherspoon grew up in Winston-Salem in the Methodist Children’s Home after both his parents died when he was a small child. Following his Duke education, Witherspoon went to teach philosophy and religion at the American University in Cairo, Egypt. There he met his lifelong friend and companion, William Pfischner, M.D.